Mahatma Gandhi said, “It is health that is real wealth and not pieces of gold and silver.” Development of the health sector from primary up to the tertiary sector in an economy triggers a series of socio-economic developmental milestones – disease burden reduces, health outcomes improve, out-of-pocket health expenditure comes down, poverty rates decline. Investment in healthcare initiates a domino effect in the development of an economy. Majority of the Indian population suffers from high out-of-pocket expenditure on health, pushing many into a viscous cycle of poverty. 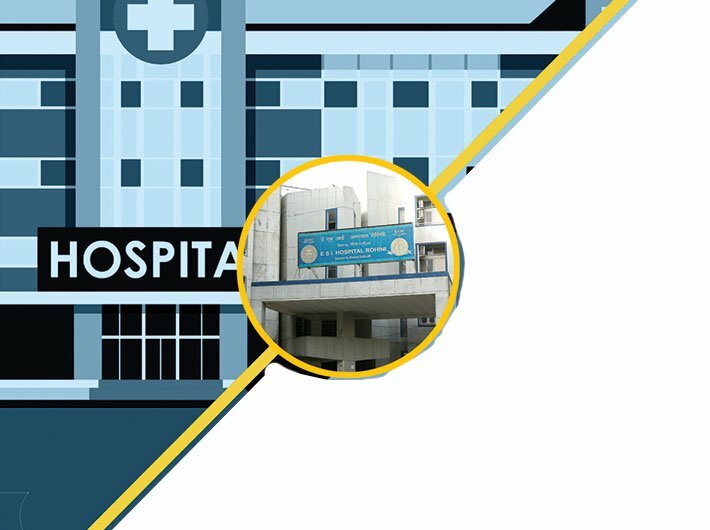 Studies reveal that between 2004 and 2014, the average medical expenditure per hospitalisation for urban and rural patients has risen steeply by 176% and 160% respectively. Thus, the lack of financial health protection, especially for the poor and vulnerable creates a serious burden of health expenditure for them. The NDA government has sought to initiate a domino effect by launching the Ayushman Bharat (AB) scheme and provided a strong impetus to the development of the health sector in India. With this initiative, the desperate plight of healthcare seekers will become a thing of the past. Touted as the world’s largest government funded healthcare programme, AB is a comprehensive two-tier scheme. Tier I provides a network of 1,50,000 primary health and wellness centres, which forms the foundation of Tier II. Second tier, Pradhan Mantri Jan Arogya Yojana (PM-JAY) offers health cover up to Rs 5 lakh to more than 100 million lower middle class and poor families every year. To provide some context, India’s per capita income currently stands at Rs 1,12,835 as per the ministry of statistics estimates. PM-JAY provides a medical insurance cover of an equivalent amount of Rs 1,00,000 per person per year, assuming average family size to be five. Government-sponsored insurance value speaks volumes of its sincere efforts towards mitigating health and financial risks for its people. Bringing 40 percent of the lowest percentile of populace under a financial health protection net is a strong case in point. Under PM-JAY, the state assumes responsibility to provide financial support through coverage of notified diseases and illnesses at empanelled public and private hospitals. To put a number to it, over 1,350 medical packages including diagnostics are provided. Top packages – cardiology and vascular procedures like angioplasty, coronary artery bypass graft and valve replacement – are worth more than Rs 2.97 billion. Historically, governments have followed a trend of grossly underinvesting in and neglecting public health infrastructure. India has witnessed a commensurate increase in disease burden, especially non-communicable diseases. As per a Global Disease Burden Study published in the Lancet, the past three decades have recorded a 50 percent increase in heart disease and stroke, while the number of diabetes patients has almost tripled in the same period in India. Meanwhile, rising private healthcare costs have made their services virtually unaffordable for the common man. In the light of these challenges, the Modi government has made a stellar move by bringing the private sector on board for providing affordable healthcare. By leveraging the insurance-based model, it intends to make private healthcare accessible to all. In no way does it leave healthcare for the masses to be monopolised by the unaffordable private health sector. Rather, it has strategically ensured universal access to the multi-speciality health infrastructure and facilities through the empanelment of private hospitals under the scheme. This, however, should not be misconstrued as the government discounting its role in the provision of healthcare and outsourcing its responsibility to the private sector. Rest assured, the Modi government considers healthcare as its core thrust area and assumes complete responsibility for ensuring healthcare for its citizens. PM-JAY has been designed with the primary purpose of making up for the historical neglect of previous governments in developing the public health sector. Accordingly, these public-private partnerships (PPPs) under PM-JAY are intended to provide healthcare for the poor and vulnerable and meet the deficit/gaps in public health. Meanwhile, the government will invest in overcoming its own supply side constraints, developing and expanding public healthcare infrastructure to meet the healthcare needs of all. The adequacy of the allocation of Rs 2,000 crore for Ayushman Bharat in the Budget 2018 had raised certain questions. To respond to such apprehensions, it is worth noting that the budget is only meant as an initial fund allocation for pilot processes since the launch of scheme in September-end. The reality is that as the scheme rolls out and more and more states come on board, the government has plans to multiply the fund allocation in the upcoming 2019 budget. For launching a health protection scheme, the most comprehensive of its kind on a pan-India scale, the government deserves respect and not reproach. Launched in September 2018, the colossal programme has been rolled out in a remarkably short period of time. With over 16,000 hospitals empanelled and many more under process, the prospects of nationwide coverage appear highly promising. PM-JAY is not all words, but is in fact bearing fruit on ground as well. Just 10 years back in 2008, provision of universal healthcare seemed unimaginable, but today a beneficiary can avail healthcare at any empanelled hospital simply by showing their e-card. In fact, PM-JAY ambitiously hit the 1,00,000-beneficiary mark in the very first month of its launch. And within three months of rollout, over 5,50,000 beneficiaries received free-of-cost healthcare, with claims worth Rs 7 billion already approved by the government. As of now, around 10,000 beneficiaries avail benefits daily. At the current pace of roll-out, this figure is expected to touch 30,000. Over 3,000,000 e-cards have been issued to the beneficiaries under the scheme and hefty progress continues. The launch of PM-JAY is India’s ticket to entering the league of universal healthcare (UHC) providing nations like the UK, Thailand, Brazil and Sri Lanka. Through its investments in improving healthcare for the masses, the government sends out an unequivocal message of its commitment towards improving the ease of living for the poor. It is to the credit of this ambitious programme that household expenditure on secondary and tertiary healthcare will be substantially reduced and financial risk arising thereof be mitigated. Nagpal is a Young Professional with the Economic Advisory Council to the PM. The views expressed are personal.